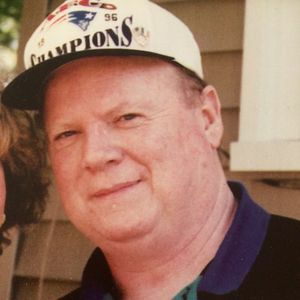 Richard A. Noonan, of Stoneham, passed away on Saturday August 12, 2017 at his home. He was 70 years of age. Richard spent 10 to 15 hours a week volunteering his time at the Hallmark Health Cancer Center where he helped patients make the best out of this situation when receiving treatments. Richard would go out of his way to make patients laugh by telling them a joke or a story so they could smile. While serving them food or a drink he would make them as comfortable as possible. During the Vietnam War, Richard proudly defended our freedom by serving as an Airman First Class in the United States Air Force. Richard enjoyed walking around Horn Pond. He above all enjoyed spending time with his grandchildren. He spent many hours at the baseball and softball field as well as watching them play basketball. He was loved and will be missed by many. 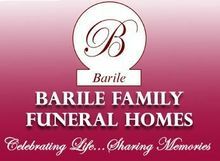 Richard was the beloved father of George Noonan and his wife Bonnie, Sandy Lotti and her husband Rich, and David Noonan. Devoted grandfather of Meghan and Matthew. Loving son of the late Daniel and Marion (Moore) Noonan. Dear brother of Thomas, Robert, Donald, Joyce, John and Barry Noonan and the late Daniel and Steven Noonan. Family and friends are kindly invited to attend a Celebration of Richard's Life on Sunday August 20th from 2-5pm at the Woburn Elks 295 Washington St. Woburn MA 01801. Please consider donations in Richard's memory to the American Heart Association PO Box 417005, Boston, MA 02241-7005 or to Hallmark Health Oncology Center 41 Montvale Ave Stoneham, MA 02180. My heart and prayers to the Noonan family. Sandy and George have always been family to me.